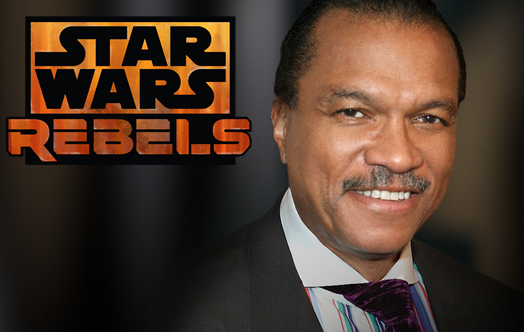 "Billy Dee Williams confirms involvement in Stars Wars Rebels!... he said he was enjoying working on SW: Rebels which [James Arnold Taylor] then confirmed." Last year at Rhode Island Comic Con Billy Dee made some comments that suggested he was working on the series. It's good to hear him finally confirm it. Now, Rebels takes place approximately five years prior to Episode IV: A New Hope. Will he be voicing a young Lando, possibly still in possession of the Millennium Falcon, or a completely new character? Let us know your thoughts in the comments below on Facebook & Twitter.